Schepens make removals to Belgium look easy! With over 100 years experience, we are able to provide an efficient, cost effective service, without compromising the quality of service on which we have built our reputation. We use a fleet of dedicated articulated vehicles, which travel to Belgium on a regular basis. These vehicles run on air ride suspension and boast an adjustable baring system, which ensures little or no movement of vehicle contents. These bars also enable us to create partitions between consignments which prevents cross contamination. Why use Schepens for removals to Belgium? Schepens is a leading UK to Belgium removals firm that has performed thousands of removals to Belgium from the UK. We are a family-owned company that has been in operation for more than 100-years. Customer service is our #1 priority and we love helping our clients move to this fantastic country! Schepens is a highly experienced European removals company with an impeccable reputation. You can trust us to safely and efficiently to perform moves to Belgium from the UK. Our company help clients move to Belgium on a regular basis. This has helped us develop exceptional local knowledge and allows us to provide clients with very flexible removals schedules. 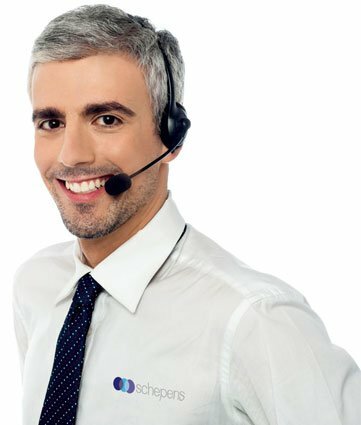 If you are looking for a comprehensive removals quote to Belgium that are 100% free and completely obligation-free — look no further than Schepens. We can provide you with a removals quote to Belgium that clearly explains the cost of the removal. Every relocation to Belgium is managed by one of our talented move coordinators. They will ensure every aspect of the move goes off without a hitch and answer any questions that you have. Our staff members are uniformed, hard-working, friendly, and trained to British Association of Removers Standards(BAR). BAR standards are the leading qualification for professional removals companies. Because we move so much cargo to Belgium each week, we can obtain bulk discounts from suppliers — making us one of the most affordable options for removals to Belgium. Antwerp, Ghent, Charleloi, Liege, Brussels, Bruges, Schaerbeek, Wallonia, Namur, Anderlecht and Leuven. If you need removals to Belgium, then Schepens has the experience, expertise and local knowledge to offer you a smooth, trouble-free move. PLEASE CALL FOR YOUR FREE NO OBLIGATION QUOTE FOR ALL REMOVALS TO BELGIUM ON 01794 323558. WHY ARE SO MANY PEOPLE MOVING TO BELGIUM FROM THE UK? The Belgium economy has grown substantially in recent years, thanks to its adoption of globalisation and trade with other European countries. It is a highly industrialised economy with and one of the top 20 largest trading nations in the world. The economy has very strong services, science and technology, IT, and food production industries. It is a fantastic location to find employment or start a new business. Belgium remains an important country for art and culture. Some of the major milestones in art history began in Belgium and the country has many incredible art galleries. The history of the country is vast and incredibly interesting. If you love food, wine, and beer, you will enjoy living in Belgium! The Belgians love their food as much as the French, and the country is filled with many excellent restaurants. Real estate remains affordable in most parts of Belgium and rents are much cheaper than they are in the UK. You can save a significant amount of money on housing and use it on improving your quality of life. Belgium has world-class public links and it is simple to travel to other countries within Europe. You will find yourself ducking over to France or Germany for a weekend away or exploring the many beautiful parts of Belgium. The low crime rate, high standard of living, and world-class health system all combine to make Belgium a fantastic place to raise a family. There are hundreds of exciting places your family can visit in Belgium — the kids will just love it! Flanders — the Dutch/Flemish portion of the country to the north, mostly speaking Dutch and German. Brussels is the most affluent part of Belgium, but also the most expensive to live in. If you love French culture, Wallonia might be the best place to move to. Like many EU countries, the government system in Belgium is quite a bureaucratic — you will need to have your paperwork in order. Before leaving the UK, make sure you have all of your paperwork sorted into a single binder, including medical records, drivers licenses, your marriage certificate, and work records. Currently, EU citizens don’t require a visa to enter Belgium. A short-term visa will allow you to stay in the country up to 90 days, but you will require a long-term visa if you intend to live in the country for an extended period. To apply for a visa, contact the Belgian embassy in the UK. You will need to provide a valid passport and supporting documents to be approved. SCHEPENS HAS THE EXPERIENCE AND LOCAL KNOWLEDGE TO PROVIDE YOU WITH ANY KIND OF BELGIUM REMOVAL SERVICE. CONTACT US TODAY ON 01794 323558 TO GET A FREE, NO-OBLIGATION QUOTE!